Our Blackback Cafe Banners are printed in full colour (single-sided, black resin reverse) and made from a specialist 240gsm outdoor waterproof fabric. This special material is designed not to let any light through, thus providing added privacy for your customers. 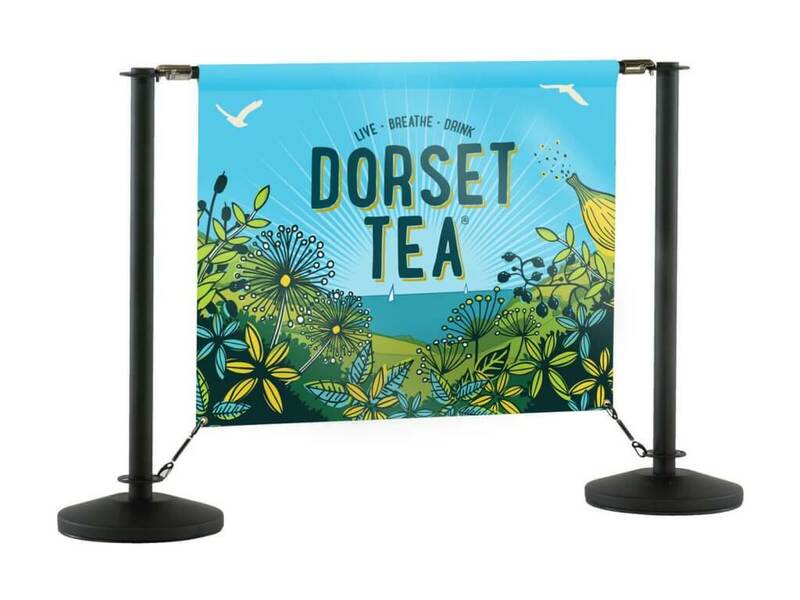 Banners have stitched hems all round and can be provided with pockets top and bottom or pockets top and eyelets bottom – this enables them to fit any Cafe Barrier System available on the market. The banners arrived in good time for our event – we were very happy with them and they worked well over the weekend. I was particularly impressed that the custom size banners worked so well. We’ll definitely use your services again. Fabric Cafe Banners are much more appealing than cheaper-looking PVC banners, for around the same cost. Fabric adds a touch of class to any establishment. They are just as easy to clean, hard-wearing and long-lasting. All this at considerably less than the price of canvas banners. 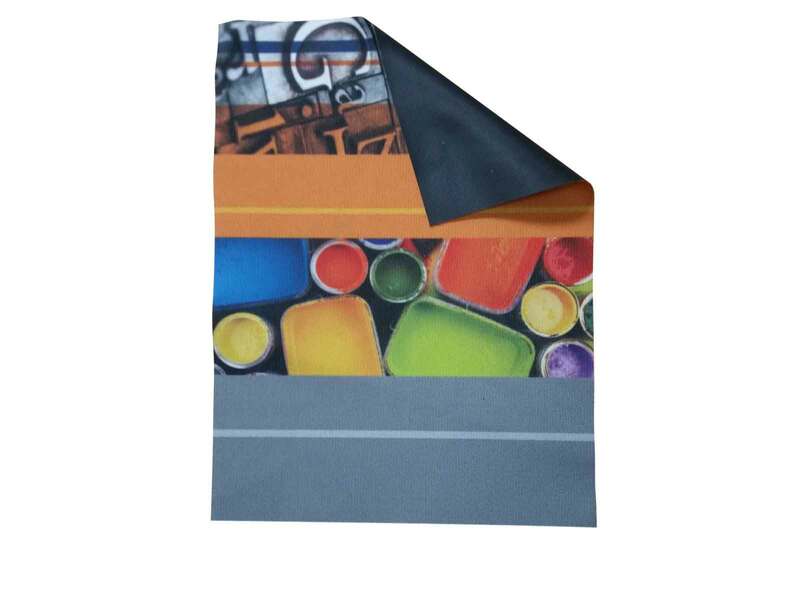 Our full colour dye-sublimation print process provides eye-popping vibrant banners. Even plain colour fabric banners look better than their cheap PVC counterparts. Are BlackBack cafe banners waterproof? Yes, the fabric can stand up to our lovely British weather without any problems! The print is also UV-resistant and does not fade over time.